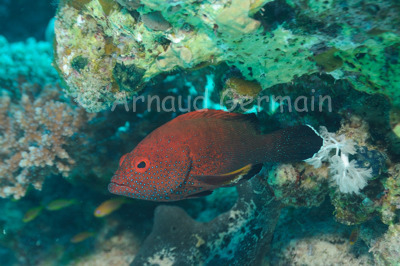 This coral grouper was waiting in ambush under a coral ledge. The grouper family is quite large and different species can have very different colours. These medium sized predators often lie in ambush close to schools of small fish.